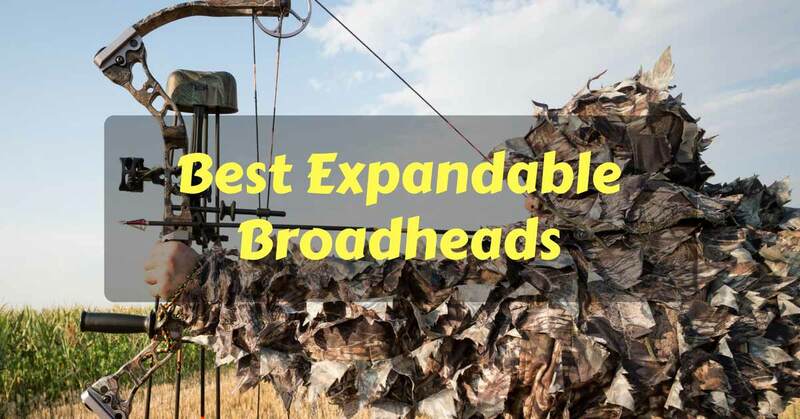 →What There Is To Know About The Best Expandable Broadheads? At the heart of any successful hunting venture, is having the best equipment available. This includes having the best expandable broadheads in your arsenal. The arrow heads are singularly the most important pieces of hunting equipment you may carry. The facts are you need the best quality broadhead to bring that game down. Having a second-rate broadhead may cost you that ever elusive game. I know it cost me a dearly using a poor quality broadheads. ​**Note, you'll find more detailed reviews, but you can also click links above to see current prices and read customer's reviews on Amazon. Buying a good quality broadhead will greatly increase your chances of killing that dream game. Brand name broadheads cost more but they are worth the higher price to kill game every time. A broadhead that has wide blade shoulders are good for bringing down game quickly. The reality is the smaller the cutting diameter the deeper the penetration into the hide will occur. Ideally, you will want a broadhead with a small cutting diameter and a large-sized fastener to keep the head from coming apart inside the animal. The perception that the bigger the cutting diameter the deeper the penetration is simply not true. These days you will find a lot of manufacturer’s claiming their broadhead cutting diameter is larger. Resulting in deeper penetration. The reverse is actually true the smaller the cutting diameter the further the broadhead will cut into the animal. I have found that when my broadhead penetrates deeper into the deer the more damage will occur. You will observe that the animal will die quicker when more vitals are damaged. ​What you need to know is that the best expandable broadheads are designed to cleanly kill game that is thin-skinned and light. Expandable broadheads tend to marginally penetrate thicker skinned game and break apart inside the animal. Once that broadhead breaks apart it loses its cutting power which is the element that kills the animal. I lost a golden kill because I shot a thick-skinned animal with an expandable broadhead. The broadhead hit the hide and the blades broke off. Then the arrow fell off the hide. You need to make sure you are using broadheads for thin-skinned animals who are light. The result the animal took off again and I wasn’t able to track the trail of blood. It was gone for good! So if you are endeavoring to hunt successfully with broadheads make sure you hunt the right type of animal. ​You may think that spending the extra money on the best brand broadhead isn’t worth the money. But you may consider it in these terms. You spend hundreds possibly thousands of dollars on other hunting equipment because you think it’s worth it. You shell out the money for the best bow, arrows, and tracking gear. But you may consider that an expensive broadhead isn’t worth the money. Once again, let us consider that if you don’t have a high- quality broadhead in your arsenal. You may as well not take that hunting trip. The broadhead is the final piece in the crossbow puzzle. All the mechanisms in your hunting equipment work as a harmonious whole. What I mean is that all the parts must be of the best quality to perform at their peak. The broadhead is the last part of the arrow but the first part to hit the animal. You need a broadhead that will fly straight and accurate and hit the target where you place the shot. The broadhead needs to make the right-sized cutting hole inside the animal. The broadhead needs to have enough cutting power to go to the heart of the vitals of the animal. You also want the broadhead to stay intact once it enters the animal. The last thing you want is the broadhead to break off once it hits the animal or breaks apart once it enters the animal. If any of these scenarios occur you can forget about bringing down that game. ​Do we consider the emotional toll of the whole hunting experience? We wait in anticipation for the next October or November to come rolling around. We know our expectations are high to hit the field and make the kill. But we buy a cheap quality broadhead. We track the deer/elk for hour’s maybe days. We finally sight the animal. We quickly set up for the shot. The animal is standing broadside to us. Its vitals are front and center. We shoot and the arrow pierces the animal but only penetrates a few inches. Whoosh! The elk is gone in a flash! What happened we ponder? Darn it! I should have listened to my hunting friends and paid attention to those broadhead reviews. They all said to buy the best broadhead I could. What did I do? I decided to save money and purchase that cheap brand of a broadhead! This beauty comes with one practice broadhead and a handy instructional DVD. You have two 100 grain expandable broadheads in the package. The broadhead comes in a subliminal green color. The color blends well when the broadhead is in flight around its natural surroundings. The broadhead opens so quickly you literally hear it! It has a firm carbonized steel tip. The body is made of anodized aircraft aluminium. ​These broadheads area extremely accurate in flight. Broadheads are durable and long-lasting. The broadheads are reasonably priced. Each individual blade is hone sharp on the broadhead. Blades are cut to .032” thickness. The broadheads open quickly upon penetrating the hide of the animal. Extending the blades to cause maximum damage to the internal organs. The broadhead cutting surfaces are extremely dull. The DVD instructional video that came with the product is useless. The broadhead failed to open to extend the blades once it penetrated a deer at 10 yards. These broadheads are known for their wound channels. Their accuracy is well-known. Their Ferrule straight manufacturing is great for aerodynamically designed flight. They have .035” stainless steel blades with massive leading edges. This broad hand has a generous 2” cutting diameter. Free broadhead practice point comes with every set. Best mechanical, expandable broadheads available for the price range. No adjustments needed when switching from these broadheads to target tips on arrows. Field broadheads fly to the same point of aim as target tips. Very durable broadheads long lasting. One Bear and deer shot and killed broadhead went cleanly through. No physical damage to the broadhead. Shock Collars did break on two out of three broadheads shot. Broadheads aren’t accurate in flight. They veer to the right or left of the target. Broadhead blade broke off on one shot after hitting the Elk. 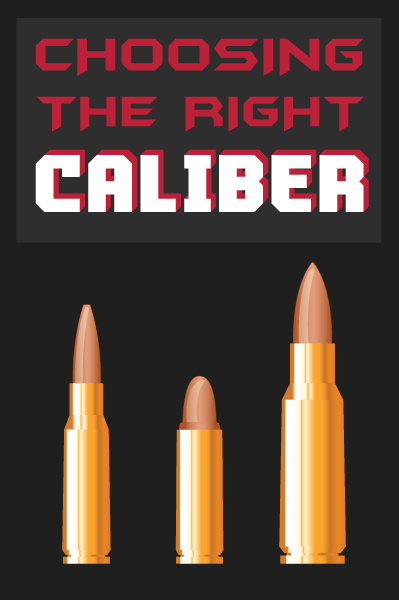 They weigh in at 100 grains. There are four blades attached to the product. Blades are ¼” thick.Standard 3 per pack. Cutting diameter measures at 1 1/8”. Clean shot right through the deer. No nicks or scratches on the broadhead. Great broadhead product will be the only one used. Construction is simple and easy to understand. Broadheads are simple and easy to put together. Broadhead blades cut extremely well. Broadhead tears up the inside of the animal upon penetration. Broadhead Flight path changes too much. Even after many adjustments. Broadheads don’t fly well out of fast bows. These broadheads are a total waste of money. Shot broadheads at 60 yards out they were a foot too high or too low. This broadhead product falls way short in quality for what a Muzzy broadhead products are known for. These broadheads are made in the U.S.A. They are made of a strong stainless steel construction. They have excellent wound channels and they are well known for their accurate trajectories. Very good shock collar retention. Comes with free practice head and has a 100-grain broadhead tip. This broadhead made a 2” inch cutting hole entering in the animal and exiting out of the animal. Hypodermics (puncturing the animal’s skin) are excellent. Shot a deer and the broadhead passed right through it with great force. broadhead still had enough energy to stick into a log 5 yards passed the deer. Very durable and strong broadheads. Grind on the broadhead blades was at various angles. Broadhead blade retention collars have printed instructions instead of the standard raised instructions. These are counterfeit broadheads. The construction of these broadheads are so bad. Personally, I prefer the Swhacker 100 Grain 3 Pack Cut + 1 Practice Head because it was the only broadhead package that came with an instructional DVD. It was the lowest priced of all the broadhead packages discussed. It was the most accurate and long-lasting of the models reviewed. It’s a very high-quality broadhead that flies true on every shot and it is the lowest priced of all the broadhead products. The value for the price is better on this product than the other products. The green color was another benefit. It blended well with its surroundings when shot through the air. The game wouldn’t notice the object flying toward it. You may consider buying these broadheads. You will have good success with these broadheads on your future hunting trips.